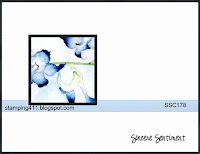 I've got another Clean and Simple card for you this week for the Stamping 411 Sketch Challenge. The sketch this week so lent itself to minimalism and I just had to run with my gut feeling! My card was a breeze to create and took me about 15 minutes total. The card base is Whisper White and measures 4 1/4" x 5 1/2" folded. I stamped the medallion from Artistic Etchings with Versamark ink and embossed it with Clear Embossing Powder for a very subtle, textured background. Next, I cut a Whisper White 2" square and stamped the medallion again with Cherry Cobbler ink. This layered on a 2 1/8" square of Basic Black. 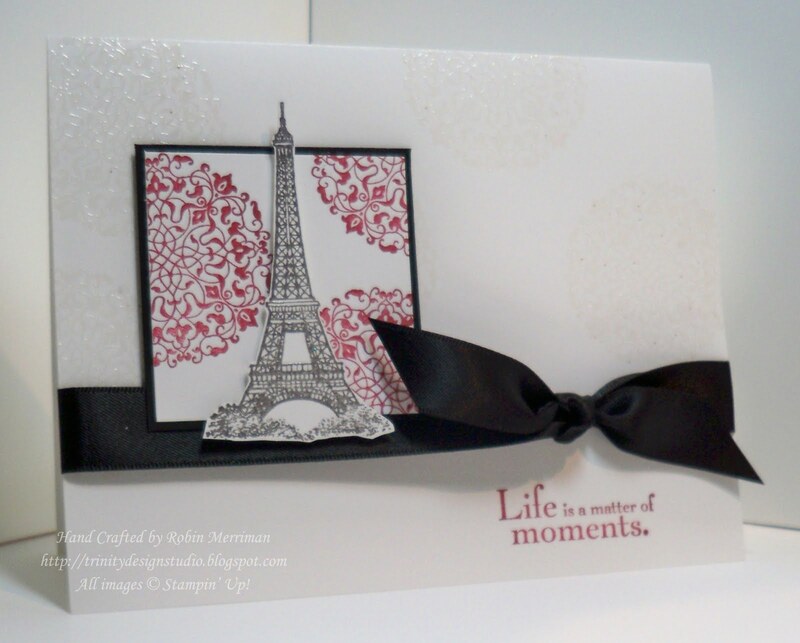 I popped it up with Stampin' Dimensionals over the Basic Black Satin Ribbon that is wrapped all the way around the card front and tied in a knot on the right side. 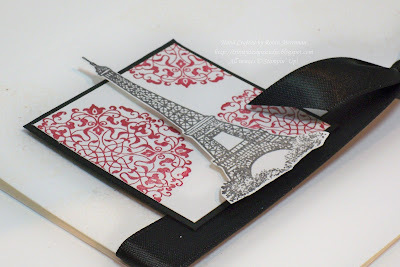 Next, I stamped the Eiffel Tower with Basic Black Craft ink and embossed it as well, trimming it out afterwards. I then popped it up with more Stampin' Dimensionals and layered it on the squares. The greeting is from Elements of Style and was simply stamped with Cherry Cobbler ink in the lower right corner of the card. Voila! Tres elegant! And oh, so simple! I hope you like the card today - I love piling it on as much as the next stamper, but sometimes clean and simple just says it all! 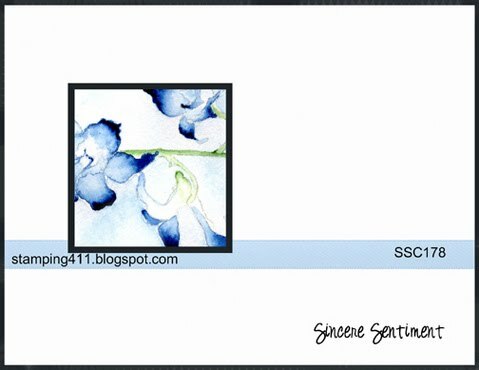 Be sure to stop by the Stamping 411 blog and see what the other Operators have come up with - I know they will have beautiful designs to share with you! Robin, This is gorgeous. I love the subtle detail with the clear embossing. Very classy my dear!!! Wow, this is absolutely beautiful!!! Clean and simple is gorgeous!!!! What a beautiful card! Robin this is stunning! I love the embossing on the background, just perfect! Beautiful, clean uncluttered card!!! You certainly know when to step away from the card. Your cutting is excellent. Excellent job.